A glimpse of transportation in Delaware in the old days can be found in White Clay Creek State Park in Mill Creek Hundred. The entrance to the park along Thompson Station Road takes you along Nine Foot Road, built in 1928. The road was laid over a dirt track from the 1870s, and featured a concrete side for cars with rubber tires, and a gravel side for cars with metal tires. 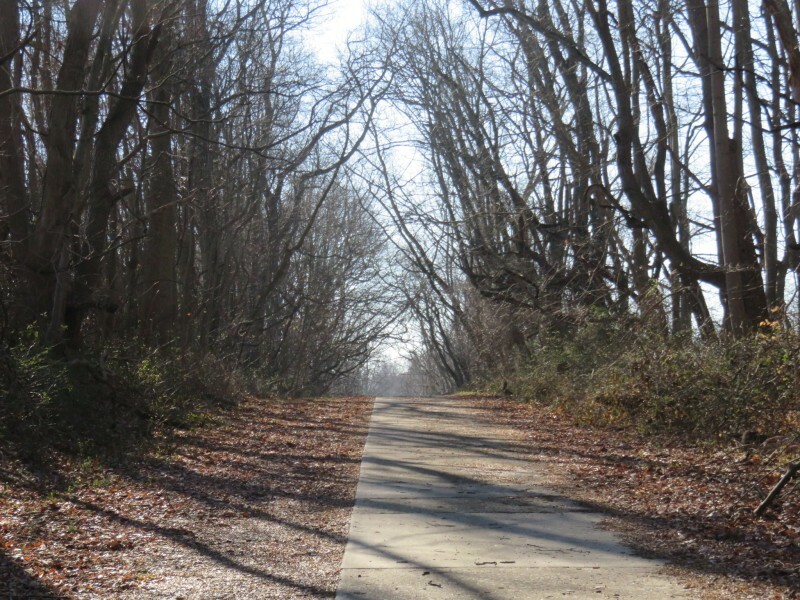 White Clay Creek State Park preserves many roads from the early 20th century. Photo by xzmattzx. If memory serves are there not other “nine foot roads” in New Castle County? I seem to remember one tucked away and not in a park either.